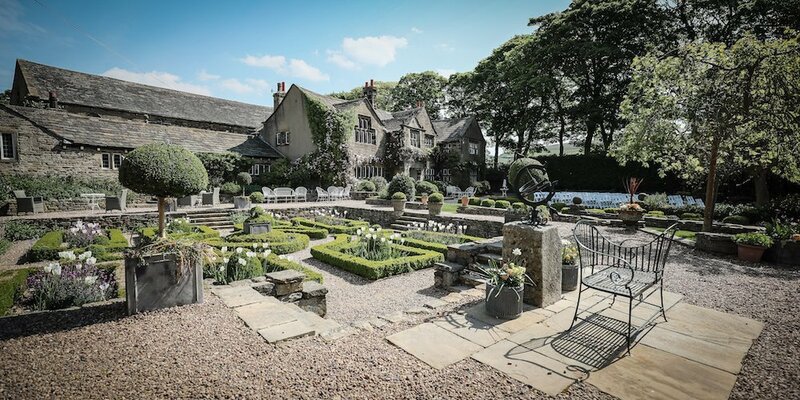 Holdsworth House is the perfect size and layout for an Exclusive Use wedding. Big enough to accommodate most large weddings yet offering a cosy, intimate and homely feel for your special day. As one of Yorkshire’s top hotels there may be other guests in the lounges and bar or diners in the restaurant unless you book Exclusive Use. An additional fee of £10,500 in 2019 and 2020 guarantees you are the only guests on the estate. We close the restaurant, meeting rooms, bar and lounges to all outside visitors. It also gives you all 38 bedrooms on a bed and breakfast basis for your guests and a wonderful family feel when you all dine together at breakfast. Ultimately Exclusive Use gives you maximum freedom and control for duration of your wedding.